12 years since I was in Byron Bay!! Yep, we were married in Noosa in 2005 and honeymooned in Byron Bay at Raes on Wategos. 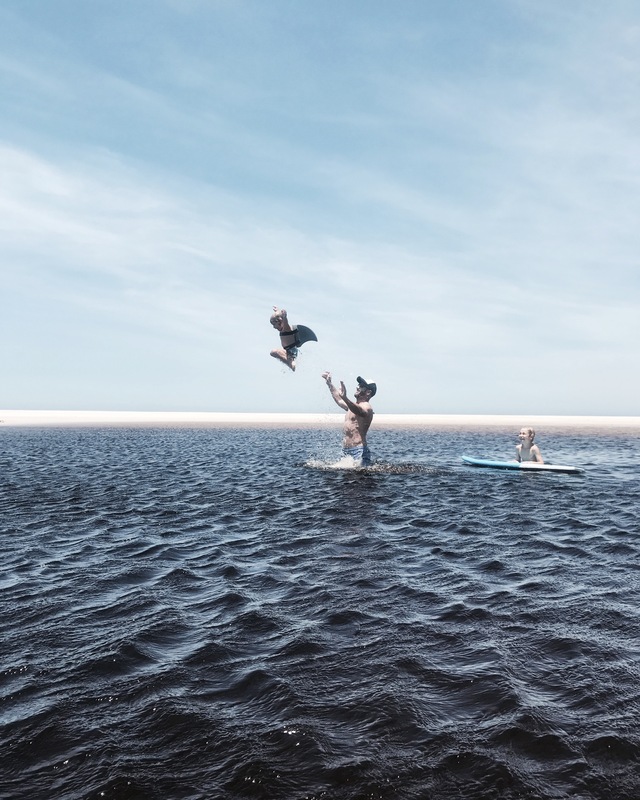 So much going on in this neck of the woods and so it was time to revisit…and revisit we did! 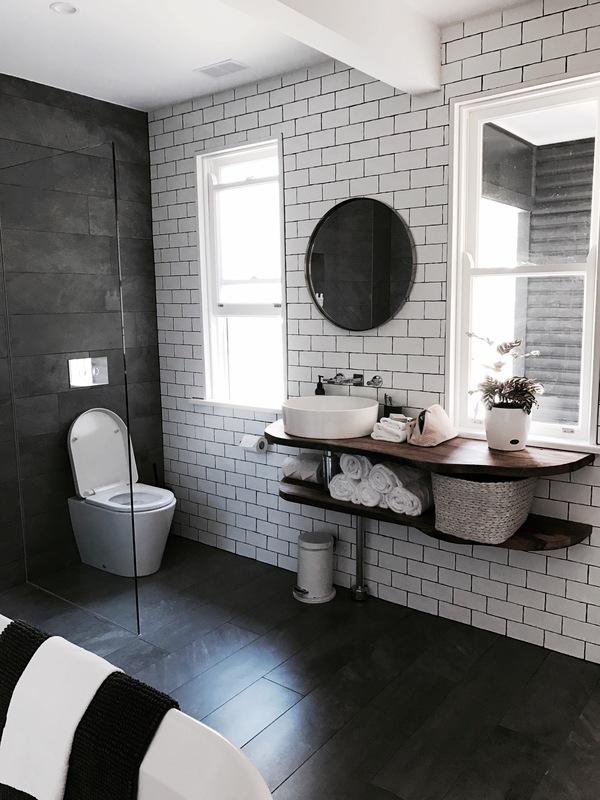 I thought a little diary of what we did each day might be the best way to share the details so here we go…. 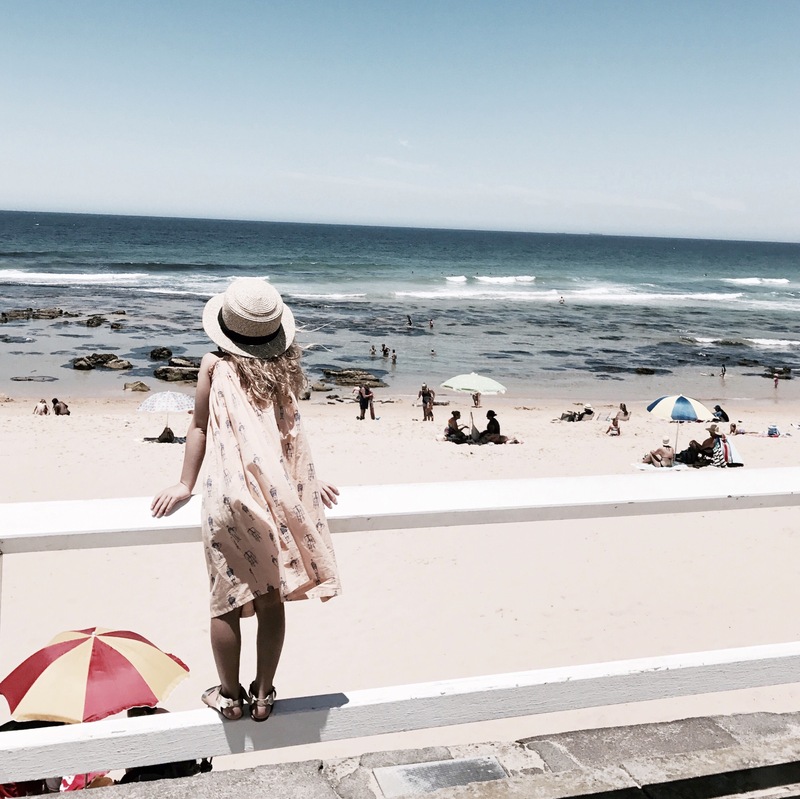 Road tripping….Close to a 10 hour drive from Sydney to Byron so we broke it up a little….First stop… Newcastle, we picked up some takeaway lunch from very cool and white Hasbro and sat by Bar Beach taking in the stunning view! A few more toilet breaks on the way until we reached Coffs Harbour for a little rest and recuperation. 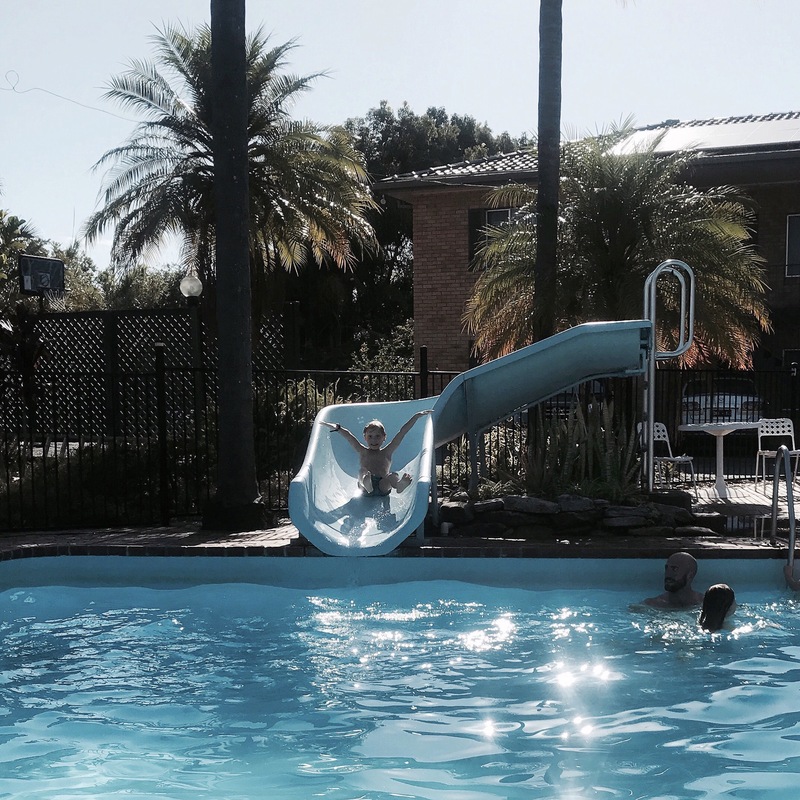 A simple motel but the kids loved the pool and slide and we had a lovely dinner out in Sawtell at The Spare room. Back on the road…but first coffee! I found a cute place called Supply for a quick caffeine hit and muffin for the road. About 3 1/2 hours from Coffs and we hit The Farm in Ewingsdale (just 15 min from Byron) which was the perfect lunch spot for the kids to stretch their legs, pat the animals and enjoy a yummy lunch! We ate at Three Blue Ducks and it was so lovely sitting outside surrounded by beautiful gardens and farm life. The kids played in the playground and ordered gelato from the little cart outside. 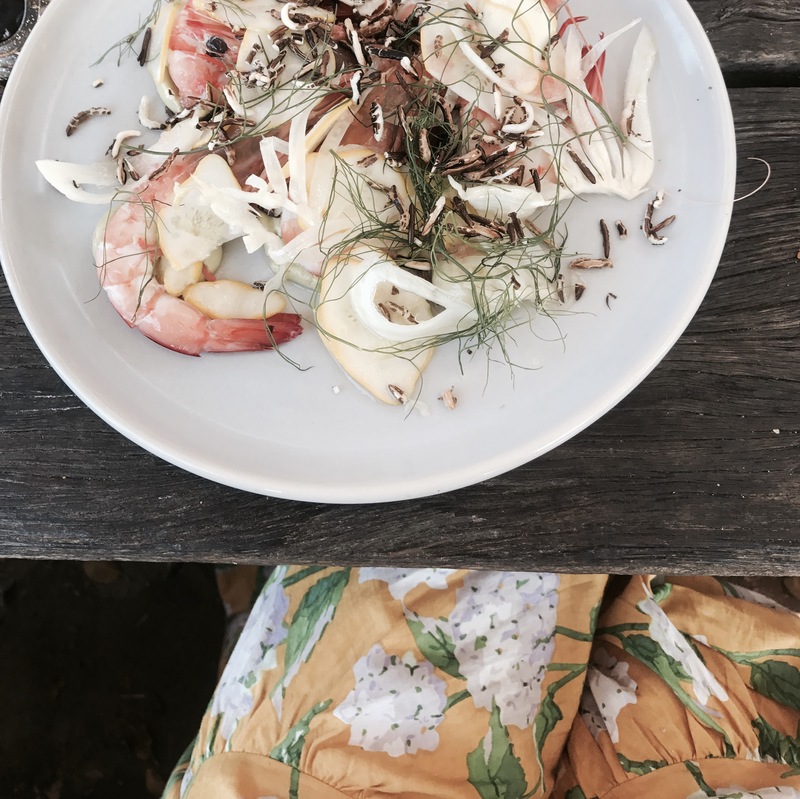 We sat with delicious prawns and Aperols and were as happy as pigs in mud! 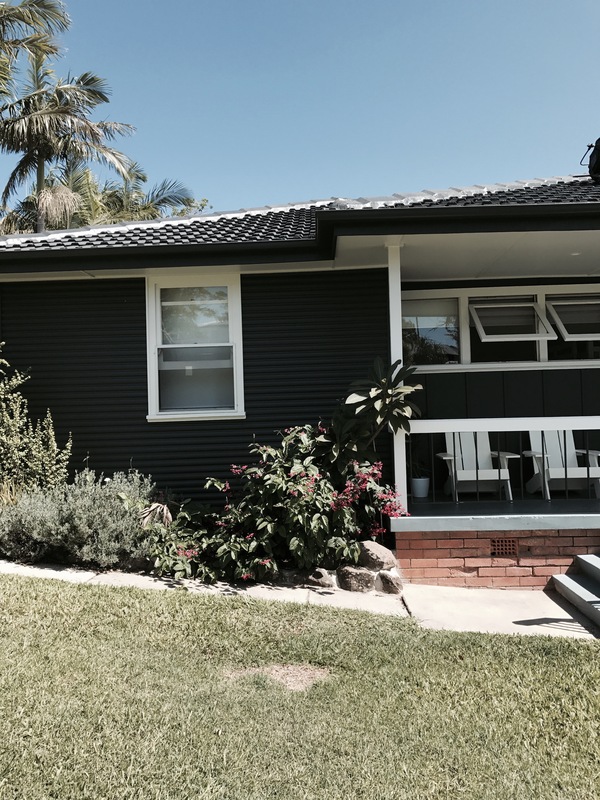 Next stop our little beach house in Byron (The Shack) Only 10 mins walk from town, our coastal abode was perfect for us. Newly refurbed, all white, 3 bedrooms, lovely bathroom, kitchen and deck. I do think with the Jan weather being so hot a pool is necessary so we did miss that and the house itself was not very private, we could see and be seen from neighbouring properties and noise levels were very apparent so if I am going to point out the negatives then there we go. Other than that, the house was cozy and well fitted out. We even had bikes to ride into town and a great outdoor shower. First morning in Byron and we headed for Tallow beach. A gorgeous open stretch of sand with the clearest water. As we made our way onto the sand a pod of dolphins greeted us ahead in the surf! We set up our umbrella and chilled here for a good few hours. Feeling the heat I dropped the gang home and took an hour for lunch at Top shop (great corner caf with smoothies, salads, burgers etc) this became our fave! I then hit Spell!! 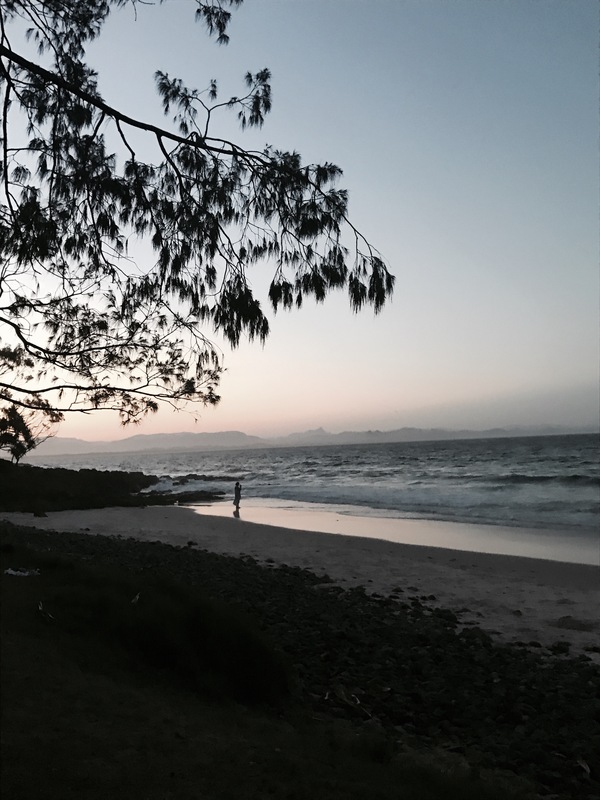 A Byron Bay (and Instagram institution)! 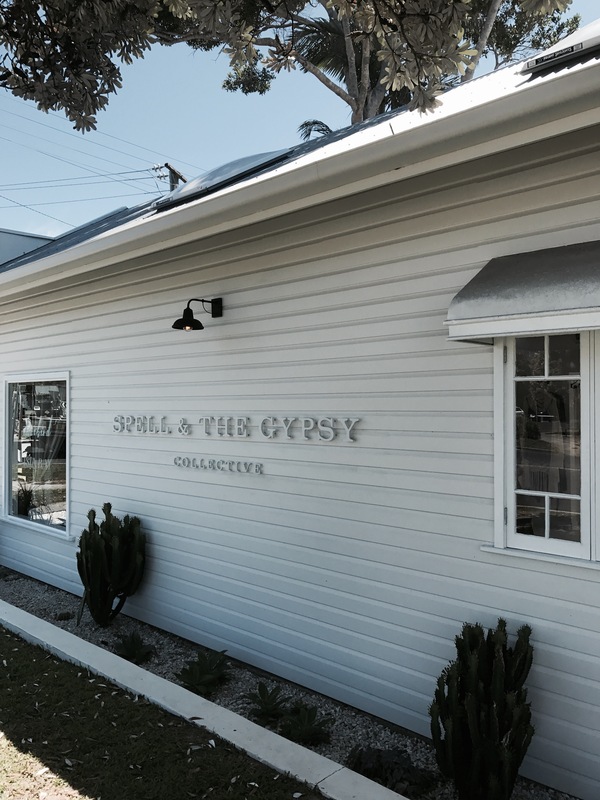 Such a beautiful beachy white weatherboard corner shop with stunning lace and print dresses, boho handbags etc plus a beautiful courtyard reminiscent of Palm Springs . I may have bought myself a gorgeous white dress from here! We head out to Treehouse on Belongil for dinner and what a find this was! Such a cool and buzzing beach vibe, live music, wood fired pizzas and just an all round great restaurant! The kids loved this place (maybe it was the ice cream cones they do too)! My girlfriend Sal was arriving to spend 3 days with us so Troy picked her up from the airport and we met at Combi for coffee and smoothies. Combi is a must visit! 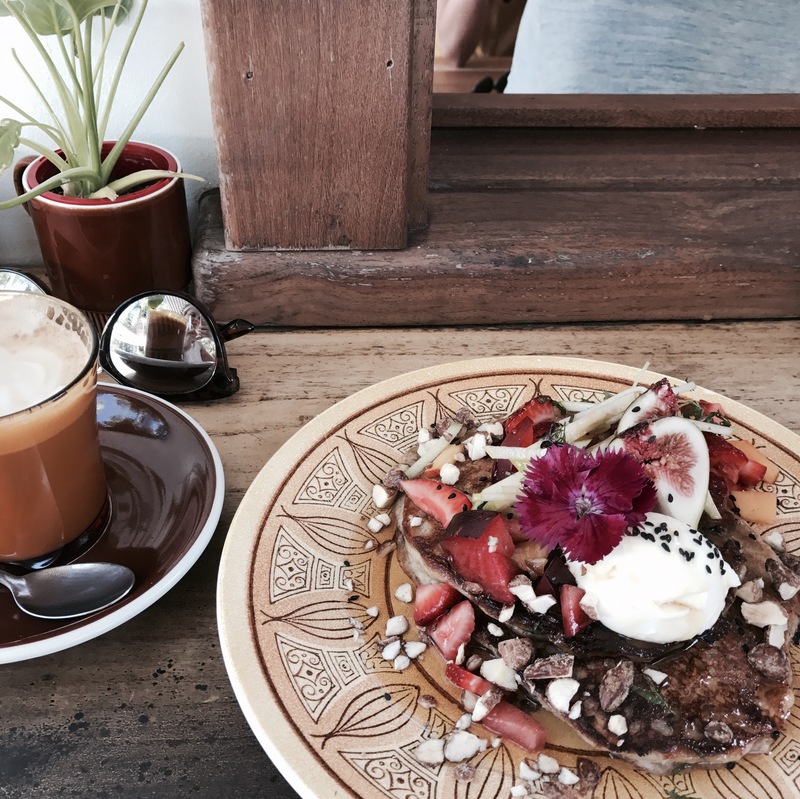 wood paneling, cool neon lighting, pastels and amazing smoothies, acai bowls etc…the avo toast with seeds and lemon was life changing! 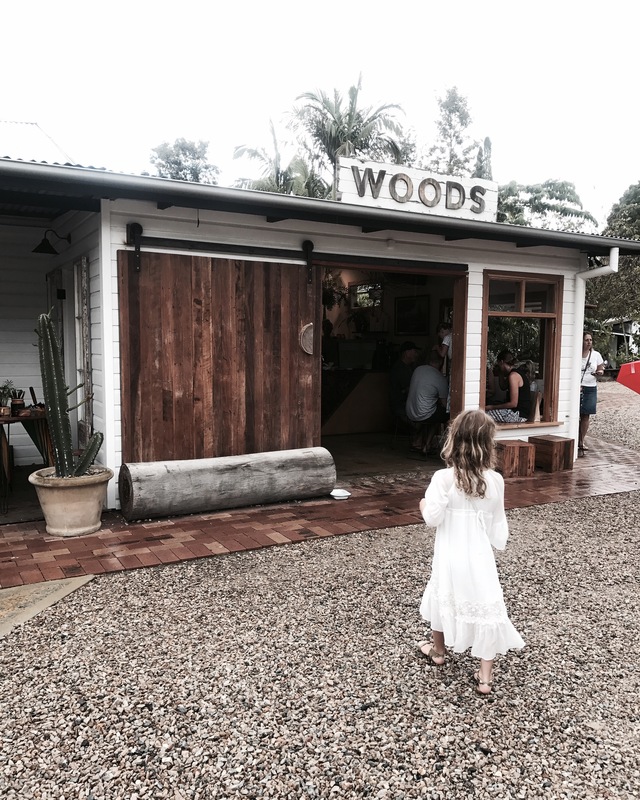 It was raining so we decided to drive to Bangalow as I had read about Woods cafe and thought we should give it a go. 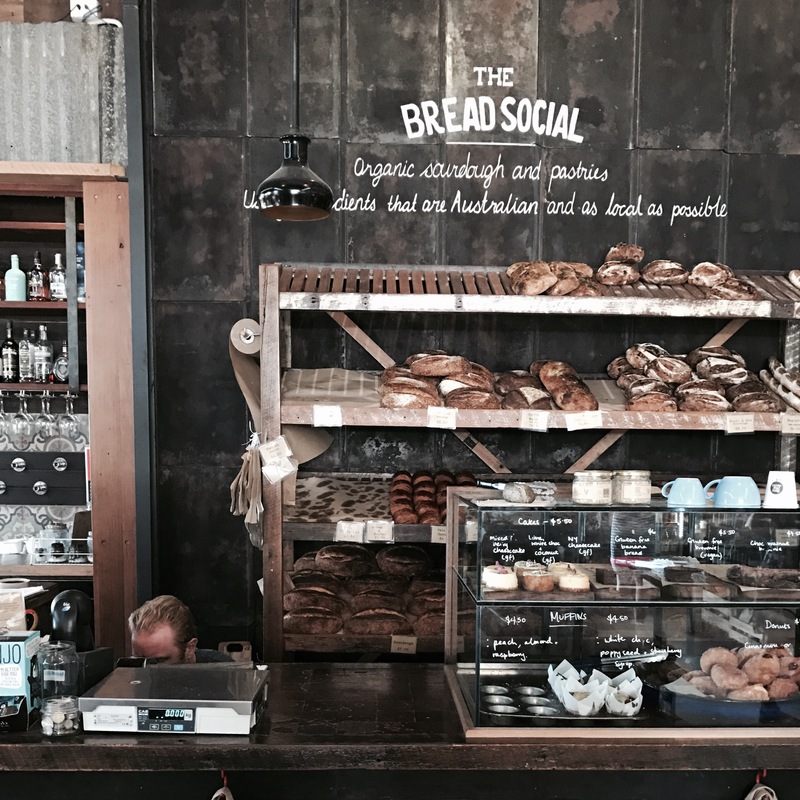 There is something about the Byron/Bangalow cafe scene! So cool, nothing like I have seen and so relaxed. Woods was cool, we just decided to grab coffee as the sun was coming out and we thought a coastal long lunch was the way to go for husbands bday. No one does this better in Byron than Raes on Wategos…look it up if you are going! Stunning! We drank crisp whites, ate spanner crab salads and a special mousse dessert to sing happy bday. The kids were so good during this lunch that the long lunch I dreamed of became a reality!! We ended up stripping to our swimmers and spending the afternoon on Wategos beach on boogie boards and chilling under the umbrella til the sun started fading.This was my favourite day of the trip!! Went for a run to The Pass beach (beautiful spot on the way around to the Lighthouse). 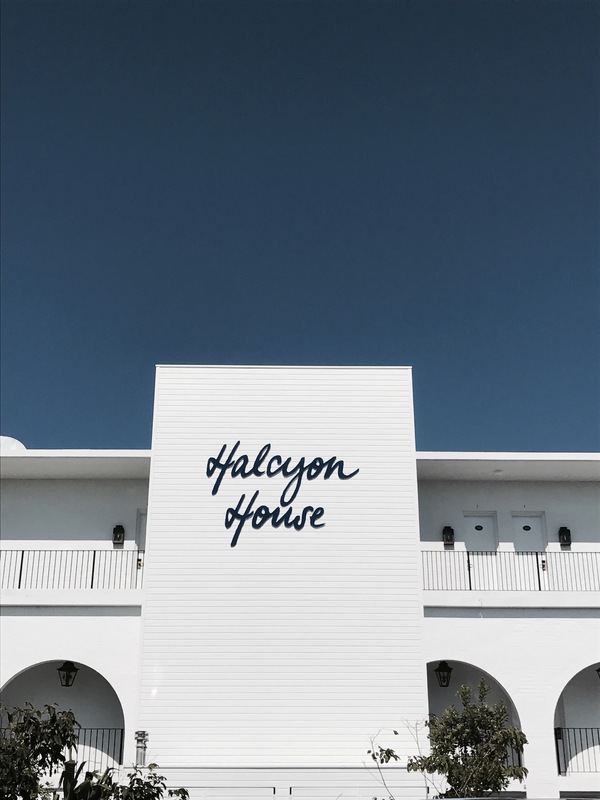 I had organised to meet a girlfriend at Halcyon House in Cabarita (40 min drive from Byron). This place is stunning!! 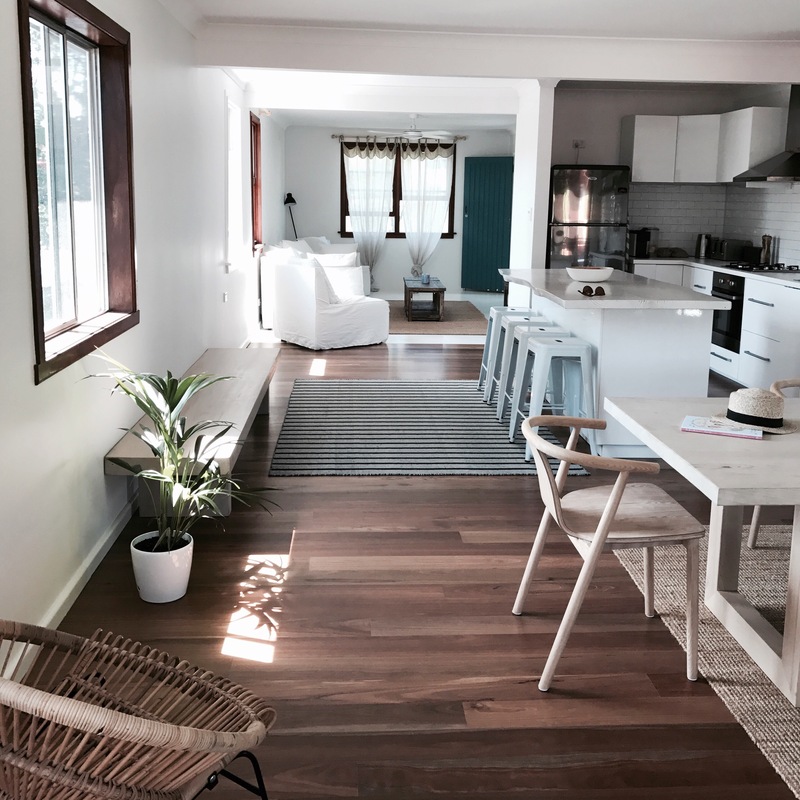 A former surfers motel turned luxury! 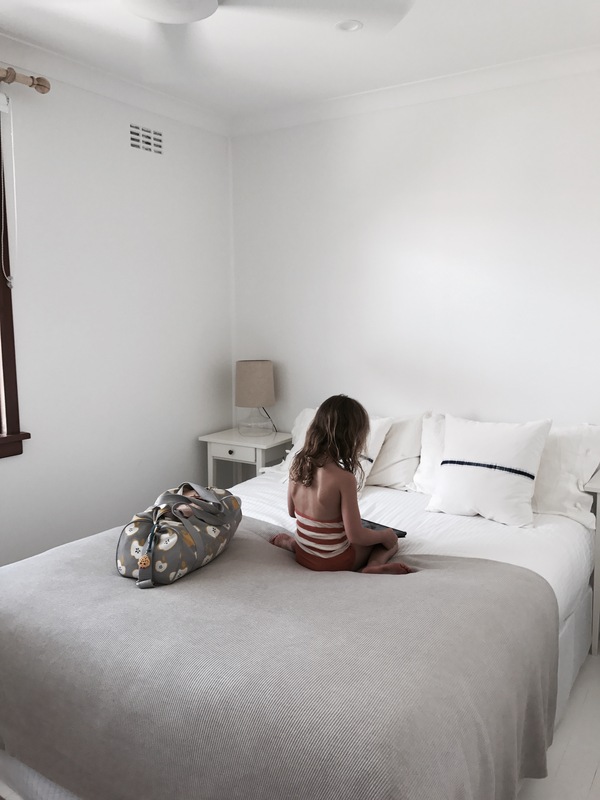 All white, navy striped umbrellas poolside looking out to beautiful Cabarita beach, not to mention the stunning fit out of the rooms! Total luxury! Will need to book a stay soon! We ate at the lovely Paper Daisy. 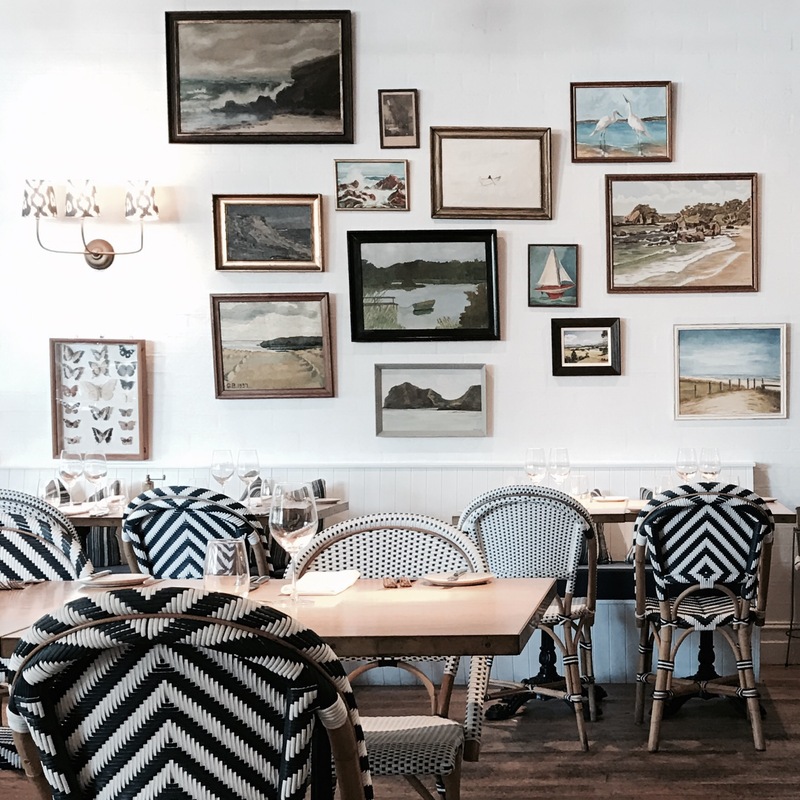 This gorgeous restaurant by the pool is so sophisticated in style and relaxed beach vibes! The fried prawns with Chilli and ginger were amaze! As was the mango sorbet meringue with lemon myrtle and caramelised milk! 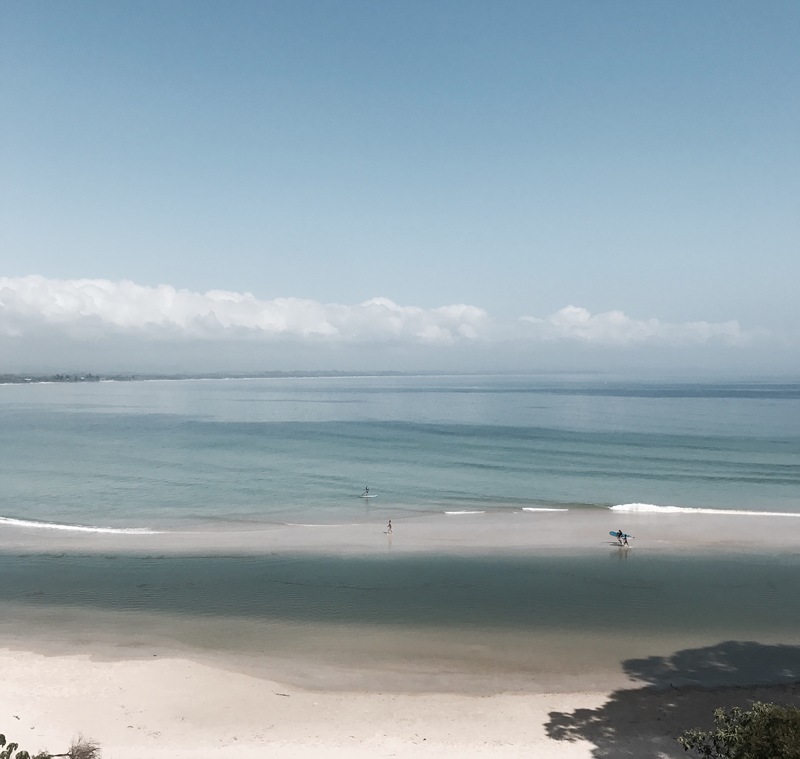 The kids and Troy played on Cabarita beach whilst I was lunching then we headed back home to chill and cooked dinner on the bbqs located at Wategos beach where we watched the moon rise behind the lighthouse. The girls headed to Folk cafe for breaky (same owners as the cool Woods caf in Bangalow). A cute little shack backing onto a camping site (you would be so happy camping with this at your front door) I had the buckwheat banana pancakes and a coffee but too hot to sit long so off to find the Tea tree lakes! These lakes are hidden and we had to do a little snooping to find. We loved it here!! A) gorgeous tea coloured water dyed from the tea tree plants growing nearby which made it very appealing! 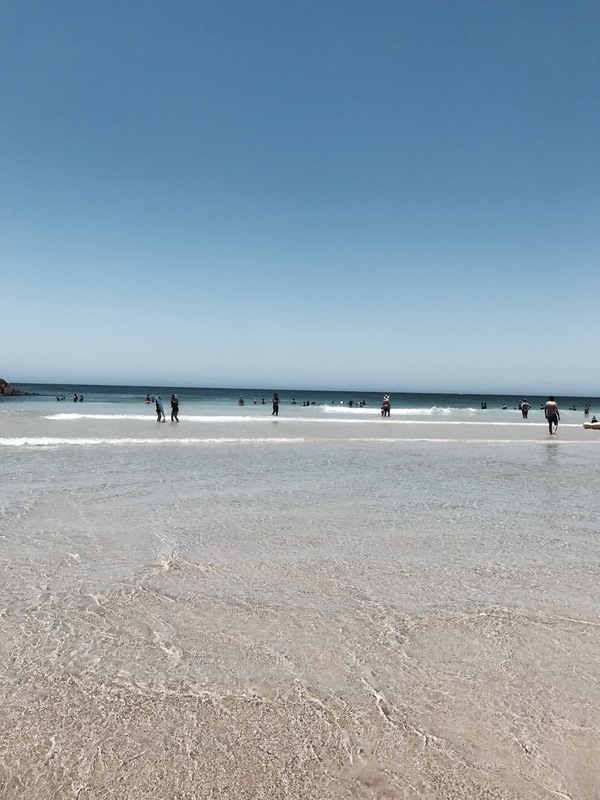 B) water was a beautiful temperature and shallow enough for kids to stand c) no waves meant I could relax whilst they swam! I think this was our fave find! The girls left the boys at the lakes and headed into town to have our nails done and check out the shops. I didn’t take too much notice of all the shops names but some gorgeous creative finds tucked around corners and main strip of Byron. Back to the treehouse for dinner…because Pizza! 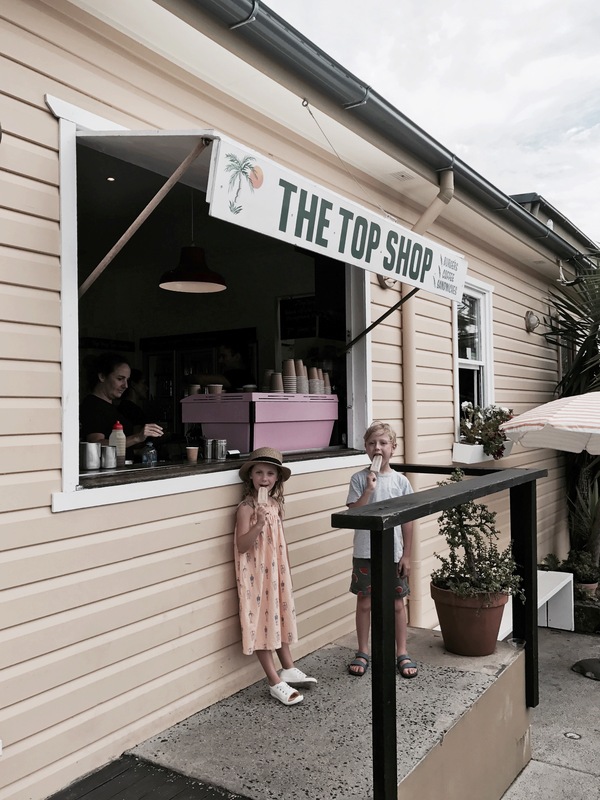 Took the bikes out for a spin and kids rode scooters to our fave Top Shop caf – starting to feel like locals!! We dropped my gf to the airport and checked out Killen falls on the way home…started raining so we just walked to the lookout but a beautiful National park and the waterfall would have been fun to dive in to. 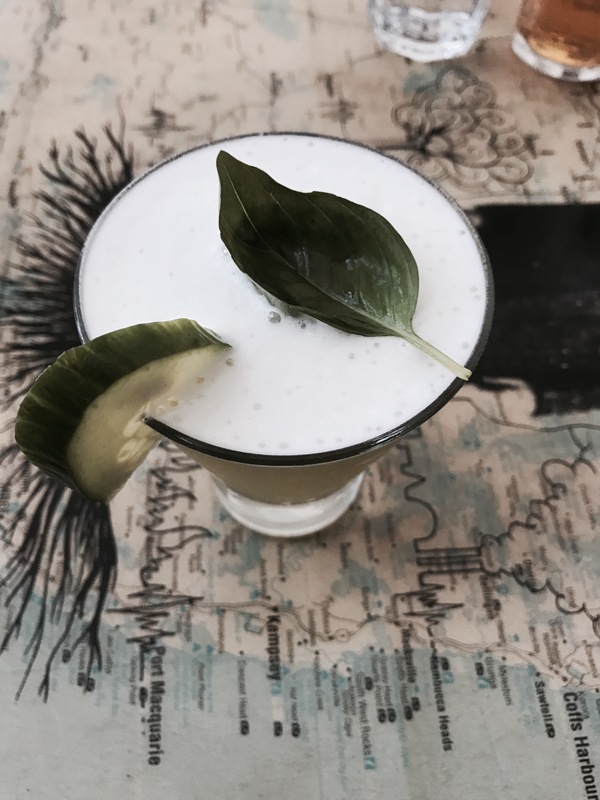 Final night at the very hyped Miss Margherita – little Mexican cantina, food was ok but wouldn’t rave about it and to be honest my stomach hasn’t been right since. Car packed and sad to be leaving!! Grabbed a coffee at little Sparrow cafe (great coffee) in town and feeling queasy from last nights Mexican!! 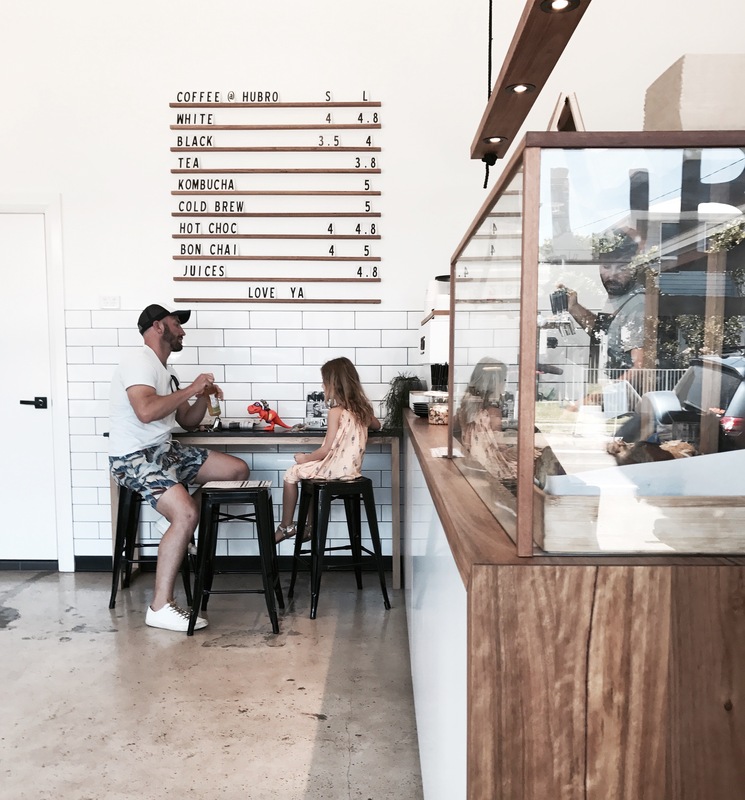 We stopped in Bellingen and met my Insta friend Kate and 3 kids at Hyde cafe. Great to get a glimpse into people’s worlds whom you feel you know so well! We couldn’t stay long as we were way off schedule and drove all day!! Didn’t arrive to Nelson Bay til 8.30pm! Booked a Mantra hotel in town to rest out weary heads and the kids swam all morning before checkout on the 17th Jan. In house cafe is a cute one in Nelson Bay but didn’t really have time to check much out.